يحظى فندق فندق جريت ساذرن، ملبورن بمكان متميز في محور المدينة والاستمتاع بـ تسوق, مطاعم, سياحة في هذه المنطقة الفاتنة. يجذب هذا العقار ذو 4 نجوم، والذي يبعد 0.5 km فقط عن وسط المدينة و 27. Km عن المطار، الكثير من الزوار سنوياً. يوجد العديد من المعالم السياحية الأكثر جذبًا للسياح في هذه المنطقة. يعرف Great Southern Hotels بالمستوى الراقي لخدماته ولباقة موظفيه، وهذا ما ستجده في فندق جريت ساذرن، ملبورن. يقدم الفندق فرصة للاستمتاع بشريحة واسعة من الخدمات بما فيها: مكتب الاستقبال على مدار الساعة, مرافق مخصصة لذوي الاحتياجات الخاصة, صف السيارات, غرفة عائلية, مطعم . ادخل إلى واحدة من الغرف 256 وتخلص من عناء نهار طويل بمساعدة مجموعة كبيرة من الخدمات كمثل تلفزيون بشاشة مسطحة, رف للملابس, قهوة فورية مجانية, شاي مجاني, بياضات الموجودة في بعض الغرف. كما أن مجموعة الخدمات الواسعة الموجودة في الفندق لضمان راحتك تترك لك الكثير من الخيارات لقضاء وقتك أثناء فترة إقامتك. يحظى فندق فندق جريت ساذرن، ملبورن بموقع ممتاز وخدمات يصعب منافستها. العقار لديه سياسة صارمة تمنع الحفلات. إذا كانت هناك أية خروقات لهذه السياسة، سيترتب على ذلك الإخلاء من العقار وفرض رسوم تنظيف. يجب أن يكون هناك صورة صالحة من بطاقة الهوية ومبلغ تأميني نقدي قيمته 50 دولار أسترالي أو حجز مبلغ قيمته 50 دولار أمريكي من البطاقة الائتمانية عند تسجيل الوصول؛ ولذلك لتغطية التلفيات التي قد تحدث أثناء الإقامة، ويتم رد المبلغ عند المغادرة. It was great pleasure to stay there. 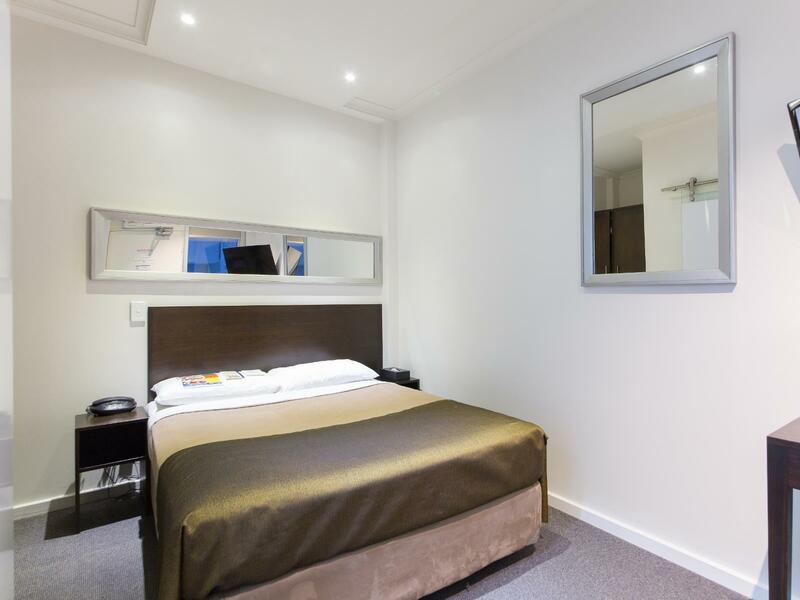 considering its location very near to Southern cross station, the price per day is very reasonable. Room was clean. Clerks were kind and nice responding well per my request. However, 1. The phone in my room didnt' work well 2. Whenever I take shower with hot water, there is very irritating beeping sound which you can hear from boiling kettle. 3. Outage of water happened. 4. You can see wall of building only through window Overall, outage of water is something unusual, I don't think next guest of my room will suffer from same issue. Generally the hotel is very recommendable if it is business trip. Arrived on hot day, entered the room, and was greeted by nice, cool temperature. So good. Highly recommend GSH Melbourne! Great place to stay if you're on a budget. Right across the road from the station, and close to small eateries. This is the second time I have stayed here. This time around, I booked the mini double room. Good size room. Good size for 2 people. Bathroom was clean. Bed and pillows were comfortable. Location is good. Very close to Southern Cross Station. Quick check-in and check out. They take $50 security deposit in cash so you get it back right away when you check out. Recommended! The hotel location was great as some guide tours collecting point are just nearby. In my opinion, the service attitude of reception staff were not good enough. No smiles and sometimes quite rude attitude to get back our luggages as they didn’t listen to our conversation. That’s really made low score. The facility and room is not bad, the room window is beside to the corridor. It’s really useless. More or less everything good. One small fault, shower door didn’t fit/ shut completely resulting in water on outside outside of shower on floor. However this certainly wouldn’t stop me from staying again. Room was very clean and spacious. Staff friendly and very efficient. Close to train station and airport shuttle. Would highly recommend this hotel. Great location, price and food available. 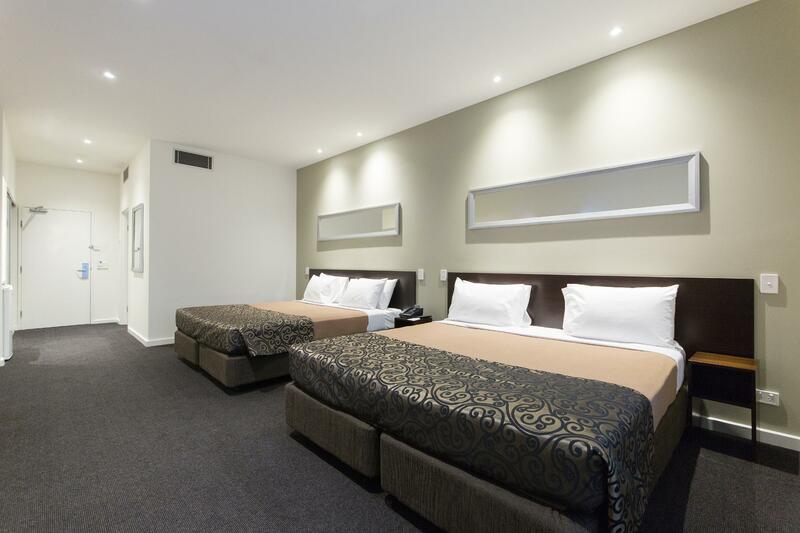 The hotel is a few minutes walk away from the Southern Cross station, near the casino and conference center. I took a 'no housekeeping' room which was perfect for my purposes and meant the hotel was very cheap. The free wifi was good enough for everything I wanted to do and they have better wifi for sale. Location is superb. It's so near to the Southern Cross Station and the tram stations that goes to the city. Perfect for a solo traveller as you won't have problem finding the place on your own. Room was clean and the right size for ownself. Room can get real cold although you had switched off the aircon. Couldn't get any heat function on the thermostat until the very last day of my trip. That's the only setback. Overall, it was a good stay. Highly recommended. 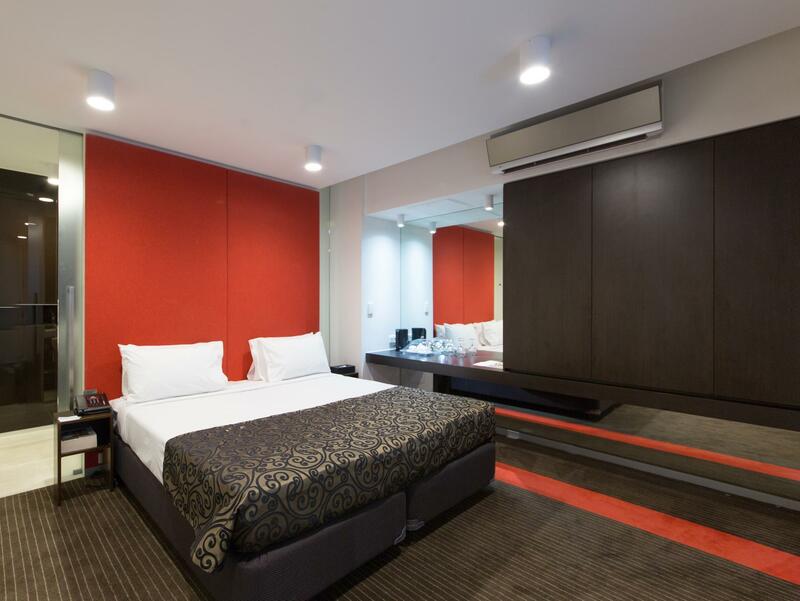 This hotel is in a perfect location for travelers arriving by Sky Bus in Melbourne. 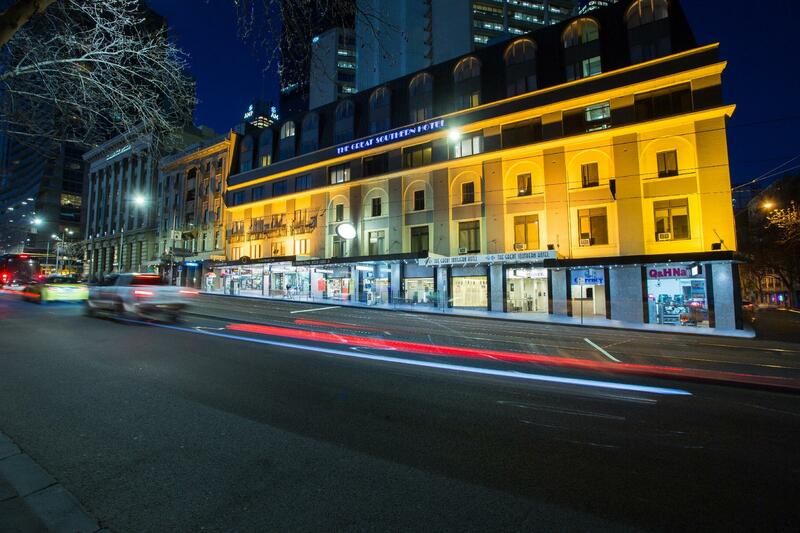 Just a few steps over Spencer Street, and find the Great Southern hotel. Close to tram stops on Spencer Street, Collins Street and Flinders Street and the train from Spencer street station make it easy to get wherever you want to go in Melbourne. 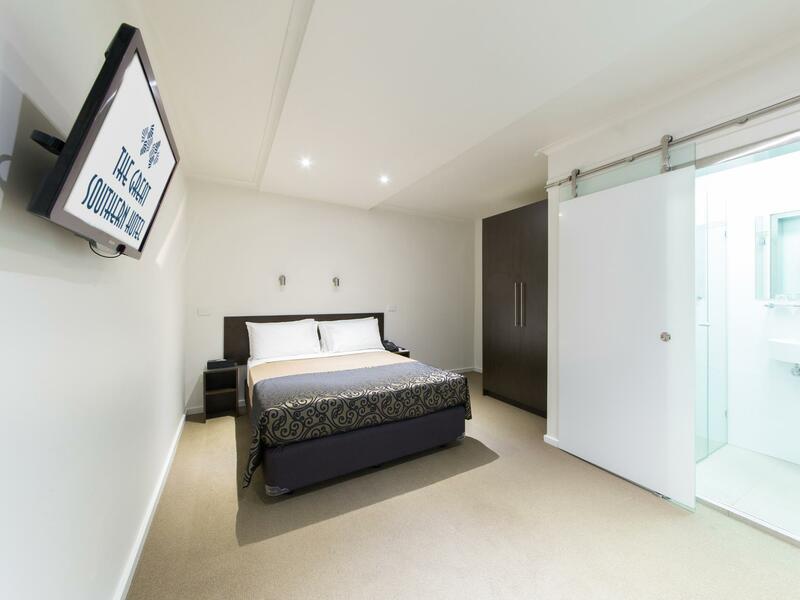 Easy to get to the MCG, and Crown casino, making this hotel a perfect base in Melbourne. I'vestayed many times, and will stay there again. It was great for all we needed. Very small, but nice to rest your head before flying out of city. My partner and I stay here every year foe PAX. Its a no frills hotel that's a great price and I can just roll out of bed and be at the convention centre. Hotel is always clean and last time we received a free upgrade. 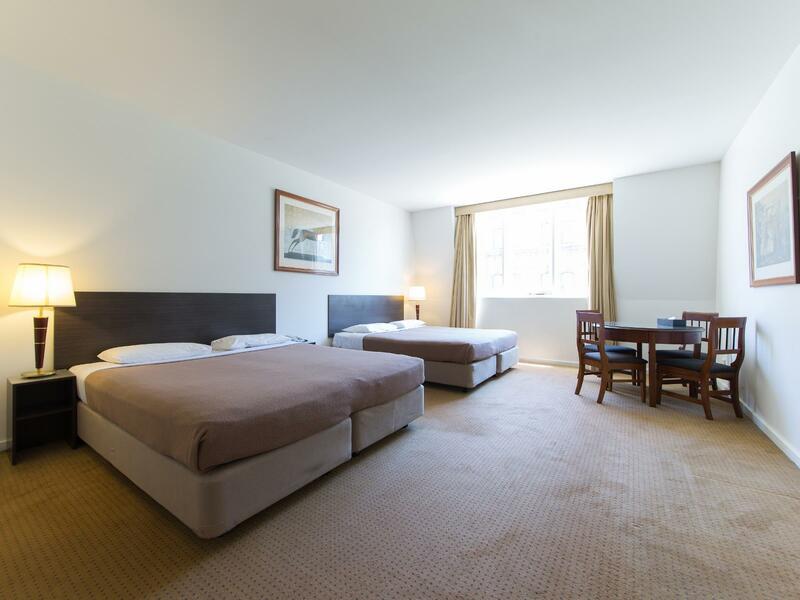 The accomodation has the perfect location where we can catch tram to city center easily. 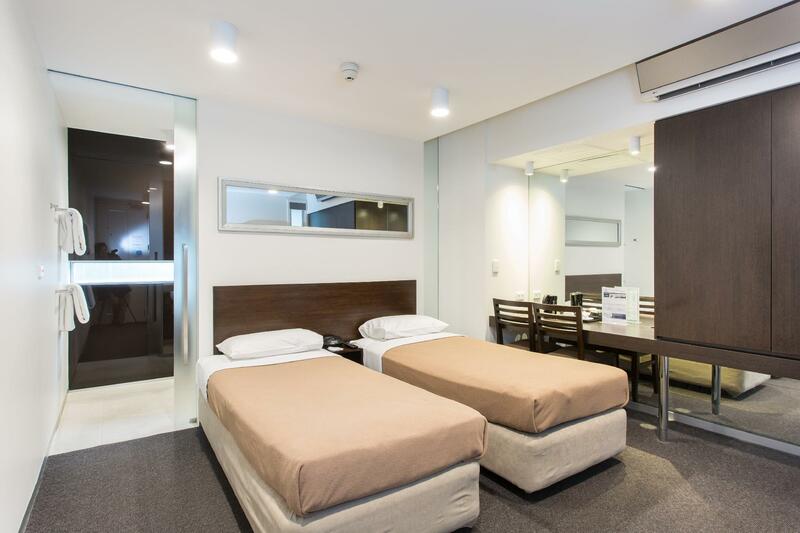 It is also close to the Skybus station that we can come and go to the airport easily. The room was clean and tidy. My boyfriend and I had a great time there and we both enjoy the time we spent in the hotel. Location was great so it was easy to go around the city centre. It is along the free tram line. I just wish the staff that day was more accommodating when we were trying to inquire tours and activities for that day. All in all, it was a pleasant stay. Great location, very close to Southern Cross train station, trams, Melbourne Aquarium, DFO and more! Room was exactly what I needed for a 1 week stay. House keeping is not included and you will need to pay extra (this is so that bookings can be cheaper!) but since we were out almost all day, we didn't need the extra service. Clean place and room with friendly and professional staff.